Hello! 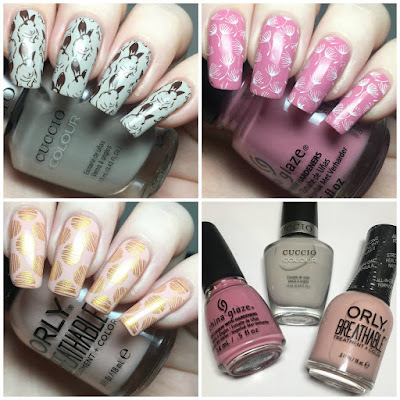 Today I'm back with nail art using some of the polishes from March's Mani and Lola box. If you missed my unboxing and swatches of the full box, you can see that post here. 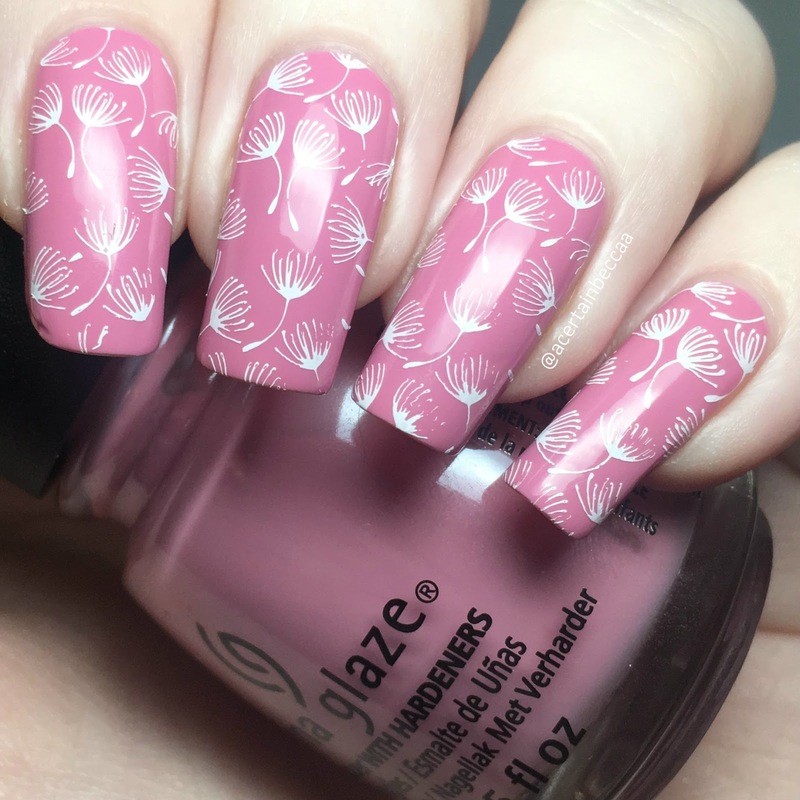 I was really feeling the springy vibe of all of the polishes we recieved, so couldn't resist doing a quick bit of stamping with each. I've also been loving Creative Shop stamping plates at the moment, and used plate 26 for all four manis. Read on to see each one in full and for more info! 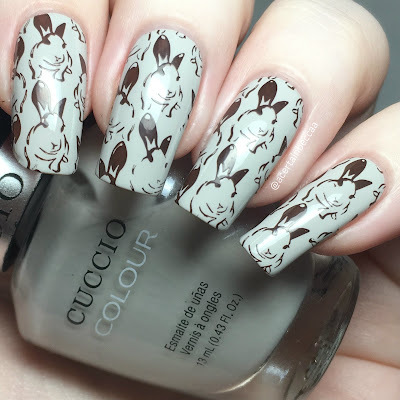 First up is my stamping over Cuccio 'Quick as a Bunny'. I've done a few bunny manis recently, and couldn't resist another one thanks to the polish name. I stamped my bunnies using Painted Polish 'Stamped in Chocolate'. Next, I stamped the floating dandelion seeds over China Glaze 'Pretty Fit'. I stamped in white using Hit the Bottle 'Snowed In'. 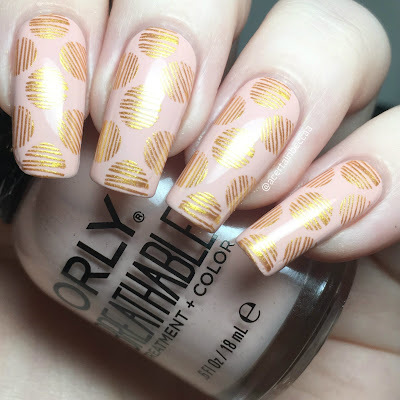 Finally, here is my stamping over ORLY Breathable 'Sheer Luck'. I stamped using a Born Pretty Store gold stamping polish to compliment the gold shimmer, and settled on the sketched circle pattern. What do you think? I really enjoyed doing some quick nail art, and as mentioned before, really enjoyed all of the polishes Mani and Lola gave us for March. I had also intended to do some nail art over the fourth polish, OPI 'Toucan Do it if You Try', but I've just been loving it so much on it's own! You can find out more about Mani and Lola and subscribing here. You can also find Creative Shop plate 26 (among numerous others) on the Rainbow Connection website here.